We have so many donated bikes that need repair! Come into the shop and work with out mechanics! 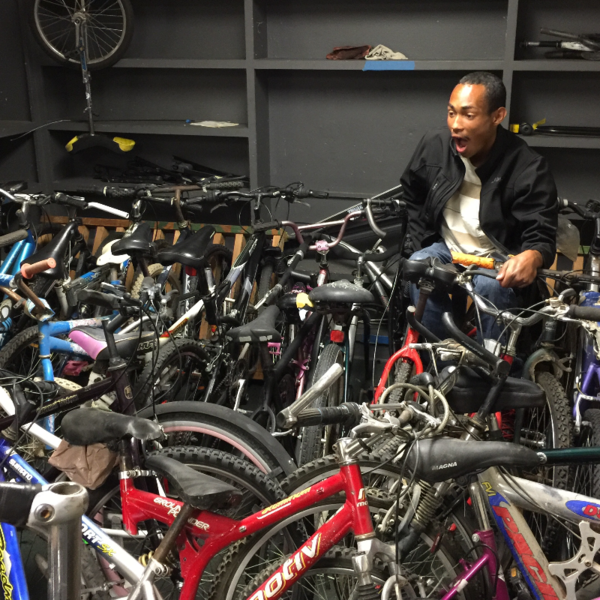 Many of these bikes are destined to create small-scale neighborhood bicycle libraries, or given to volunteers in our shop and through our foster youth Smart Cycling classes. Stop by the kitchen on your lunch break or after work in Downtown Bakersfield Monday - Thursday from 12-6PM: 1708 Chester Ave, Bakersfield 93301. Log in to see who is volunteering for Recycle-A-Bicycle!